A friend and I were recently discussing movies, and how different our taste in film is. If she likes a movie, it’s a guarantee I won’t, so I usually don’t bother once she’s told me she really liked something, and vice versa. We met in film school, so the basis of our friendship is clearly not founded on our mutual love of the same films. The funny thing is, she likes my screenwriting, so what does that say? It got me started thinking about film in general, and those that I like, and have been inspired by. I once tried to make a top ten list of my favorite films, and ended up with a list of seventeen and that was lumping Disney and Pixar films into two. I was heavily influenced by Disney princess films, still am. 🙂 And I think the people at Pixar are brilliant, and I sometimes muse at how impressed they are with themselves when I see the most amazing effects in their films; like Sully’s hair blowing in the breeze, or a puff of dust being stirred on one of Andy’s shelves. Amazing. The following is a list of a few movies that changed my perception, my writing, or me in no particular order, except maybe when I watched them. 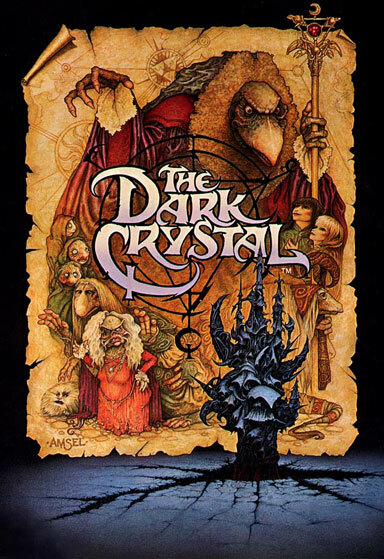 The Dark Crystal – Most children I know personally could never watch this film. I’m not even sure how I was able to. It’s dark (pun intended) and a little scary, but the cast is entirely made up of puppets. Most 80s kids are Jim Henson fans, but most of my friends preferred Labyrinth to the Crystal. Not me. This is still on my top ten list because of its impact on me when I was a kid. The idea of a magical world torn apart, the story of an unlikely hero, and the themes of good vs evil, immortality, and sacrifice were all highly effective on my young mind. 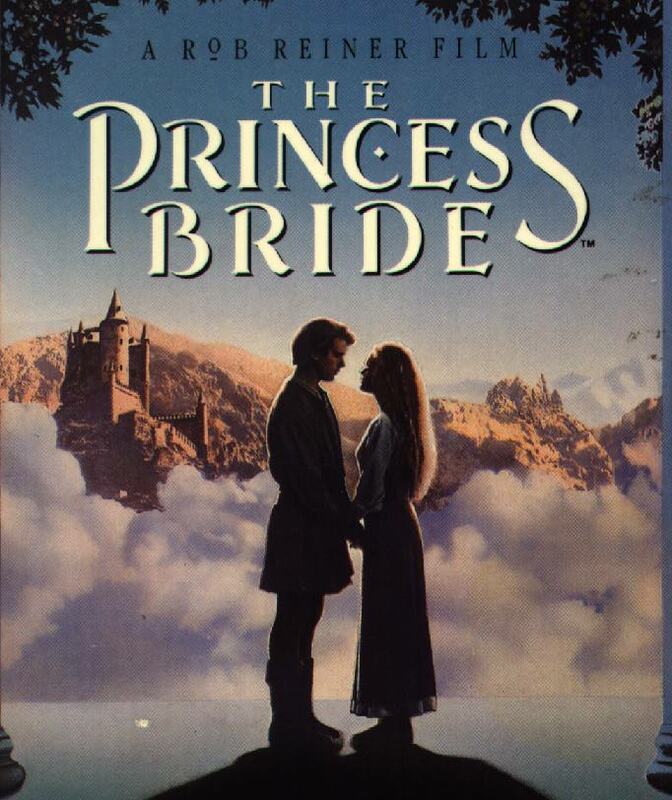 The Princess Bride – I don’t know anyone who does not like this movie. It’s wonderful. I would later grow to admire its writer, William Goldman, who also wrote Butch Cassidy & The Sundance Kid, the screenplay for Misery, among many others. He has a great sense of humor and is one of my favorite writers. The Princess Bride impacted me in the sense of combining fantasy and reality, or the reality we create. It is clever, funny, romantic, and full of adventure and swashbuckling, and it is one of the films that would change my storytelling. 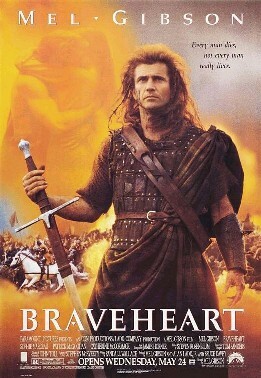 Braveheart – I saw Braveheart shortly after my first visit to England. This was the film that got me interested in Medieval times. The film was gritty and brutal, but it was also romantic, and highlighted the values of honor and loyalty. As I had already discovered I was an Anglophile, this just further developed my passion for learning its history, but also, that writers have the opportunity to sway perspective. As writers, we create empathy for our characters. Unlikeable characters can be given a reason for their traits, and become likeable in the eyes of the viewer depending on how the story is told. Current example: Malificent. *I’m not saying she’s unlikeable per say, as she has always been one of my favorite villains. 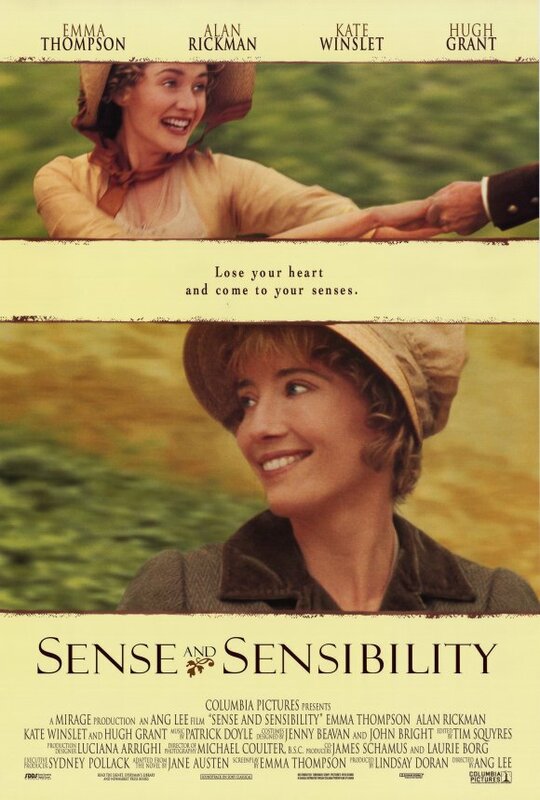 Sense and Sensibility – This film was my introduction to Jane Austen. Again, shortly after my first visit to England. I was immediately obsessed. I started watching all the film variants of Austen’s work, long before I decided to actually read any of them. Maybe that’s the difference in being a screenwriter vs an author…? I have watched this and Pride & Prejudice so many times, that if we are ever trapped on an island, or whatever, I could recite or reenact this for you. It was this film along with Braveheart that encouraged me to include facets of the time periods into my work. 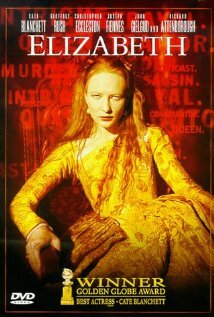 Elizabeth – My continuing fascination with English history led me to Elizabeth, and my subsequent adoration of Cate Blanchett, one of my favorite actresses. I have become completely fascinated with the Tudors and their times because of this film. The country was torn apart by war, political, and religious issues, so maybe not the best of times, but Elizabeth, a woman (*gasp), became one of the country’s greatest monarchs. She should never have become queen, but it was her destiny, and even this influenced my writing. (I could write a great deal about Queen Elizabeth I.) It was while writing my screenplay entitled, 217, that I discovered my fascination with certain time periods were all separated by roughly 200 years…revelation. *You can read about it in the Excerpts section. Crouching Tiger, Hidden Dragon – I have long enjoyed foreign films and this is still one of the best I’ve ever watched. It combines so many elements I enjoy; unrequited love, history (I’m a sucker for a period piece – can you tell by the list? ), fantasy, and women who are not relegated to side/nondescript characters. It also has beautifully choreographed fight sequences. All of this further influenced my writing in regards to combining different elements, which is probably why I enjoy writing “fantasy”. I was driven to watch any and all films that were even remotely related to this style, and I did find Hero with Jet Li, Tony Leung, and Maggie Cheung. They utilized a wonderful technique of telling the same story from different points of view and changing the color of their clothes and surroundings to highlight the difference. Lovely. So how about you? Which films influenced you?